The cold night and early morning of April 5th was at least fairly well forecast, enabling producers to light their chaufferettes and groups of vignerons to set fire to their piles of straw at daybreak. 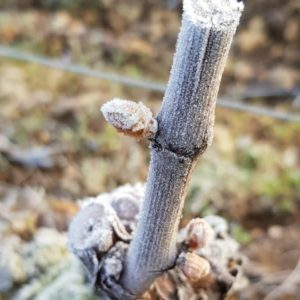 The former warm the air around the foot of the vines, by 1.5 to 2 degrees, while the latter block the rays of the early morning sun which can grill the new vegetation if it has iced up. The third solution in evidence this year is the employment of mobile wind turbines which circulate the warmer air to be found a few metres above the ground. Several have been sold in Meursault. It is too early to know what damage did occur – there will certainly have been some. In general the young chardonnay vines were more at risk, as their buds develop earlier. 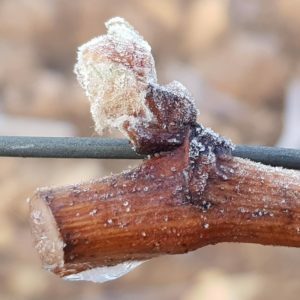 Olivier Lamy reports temperatures dropping to -4.5c in some vineyards, with similar figures quoted as far afield as Pouilly-Loché and Chablis, while others think that they may just have got through more or less unscathed. Fortunately the weather has now turned milder and damper, with no negative temperatures forecast for the next two weeks.